Cooking for friends and family is one of my all-time favorite things. In my dream house, I am going to have a ginormous eat-in kitchen for laid-back gatherings AND a dining room that seats twenty for more formal occasions. A girl can dream, right? In the meantime, I’ll keep hosting intimate (read: small) dinners and holiday parties for all of my favorite people. Something that happens to almost every aspiring host at their first foray into hosting is an over-ambitious menu that ends disastrously or, at the very least, an event that is far too stressful to enjoy. 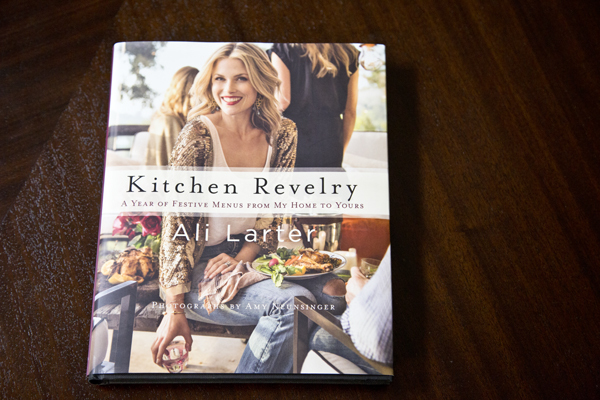 In Ali Larter’s new cookbook, Kitchen Revelry: A Year of Festive Menus from My Home to Yours , her introduction chronicles one such disastrous occasion. 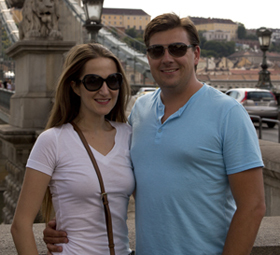 Over the years she has learned to take a more laid-back approach to her gatherings. After-all parties, big or small, are meant to be enjoyed and no one is going to have fun if their host is hunkered down in the kitchen cursing their fallen soufflé. 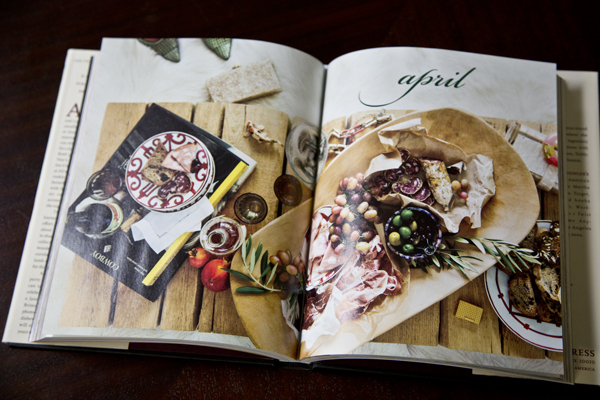 Larter’s book has comprehensive menus for a year of celebrations and gatherings. The recipes are all simple enough to understand, with a variety of flavors that should please even the pickiest of guests. 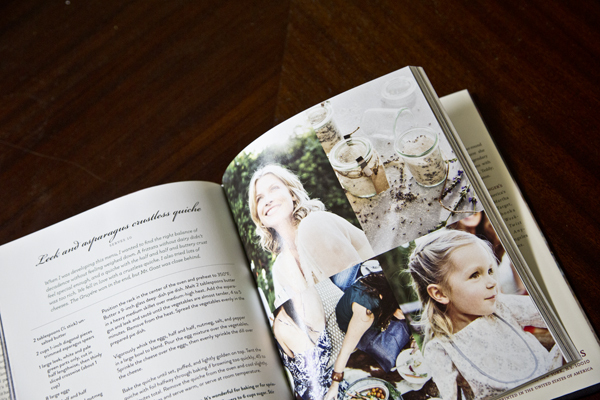 Even if you aren’t into hosting parties, this book is so beautifully styled and photographed; it is worth taking a look. I am so excited to get my hands dirty and put these recipes to the test! This is one of my all-time favorite cookbooks, and as someone that collects cookbooks, that is saying a lot! I have loved, loved, LOVED every single recipe that I have made out of this book. The instructions are straight forward, the ingredients are easy enough to find (especially if you have a health-food store near by) and they are crowd pleasers every time. This also has great options for vegetable side dishes and anyone who has ever been assigned to bring a vegetable dish to a pot-luck knows how hard it can be to find a universally pleasing veggie that isn’t green bean casserole (not to knock green bean casserole or anything). A lot of these recipes are great jumping off points and can be easily adapted to fit your family’s needs. Just like her first cookbook, this one is outstanding. I have loved everything that I’ve made out of it (and I’ve made a lot). These recipes are healthy and family friendly. Some reviewers have claimed that the recipes in the book are too healthy, but when has being too healthy ever been a bad thing? The recipes might be healthy, but they don’t taste that way. This is also full of gluten-free, soy free, nut-free dairy free and vegan options. I really wish I had this when my mom needed to do her elimination diet! Seriously, worth every penny! I didn’t know a lot about Katie Lee when I picked up this cookbook. At the time she was married to Billy Joel (they have since divorced) but I was intrigued after learning that she is good friends with Giada De Laurentiis. I saw her on a few talk shows and she had a really cute personality, so being the sucker I am for cute personalities (and celebrity cookbooks) I picked this one up immediately. It is a very cute, sweet cookbook with great basic recipes and lovely photos. Everything always turns out just as you’d expect it to, and there are a lot of great comfort foods. I can still remember the first time I saw Eva Longoria on Desperate Housewives. I thought she was the cutest, spunkiest little chick ever! I grew to like her even more as her star began to rise. Her cookbook is full of fantastic traditional Mexican food staples as well as many recipes influenced by her travels abroad. A lot of the recipes are very simple, but their flavors pop! She seriously knows what she is doing! Simple does not equal bland in this great tome by a great cook who also happens to be a celebrity. I debated including this book. I was so excited to get it (it came out right about the same time as Gwyneth Paltrow’s first cookbook and Eva Longoria’s book). I really wanted to love it. I tried. I made about five recipes and they were okay, but everything was pretty involved and the flavors were all kind of blah. My dad commented that one of the recipes tasted healthy, and it was, but just because something is healthy, doesn’t mean that you want it to taste that way. While the recipes haven’t been my favorite, they aren’t bad and the book really is beautiful and has a lot of great information about choosing the right ingredients and making healthy choices. We’ll see. It might be worth giving it a second chance down the road. mention useful information!!! Do you have different expert articles about food recipes?